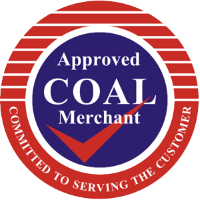 Buying mixed blend ovoids allows for you to have a range of different coal briquettes to burn. This bag includes mostly smokeless fuels, however it is not suitable to use in smoke control areas. Mixed Ovoids are predominantly a mixture of all our briquettes and are suitable for open fires, room heaters and multi fuel stoves. The product is made up of all our products which are individually HETAS approved and approved for use in smoke controlled areas, but includes Maxiflame. Mixed Ovoids have a long burn duration, are easy to light, clean burning, have a high heat output, low ash and are excellent value for money. Although the vast majority of the fuel contained within these bags are HETAS approved, Maxiflame is not approved and therefor this product should not be burned within a smoke controlled area.